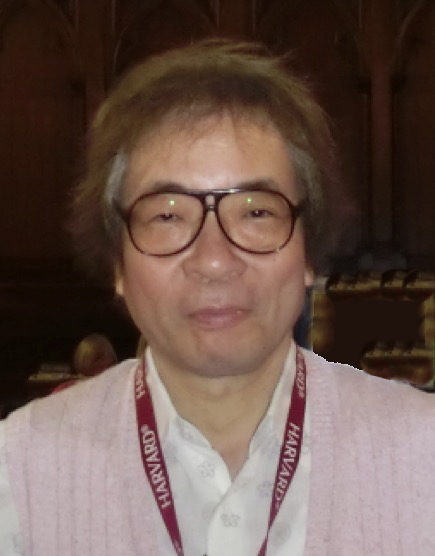 Prof. Shuhei Kadota received both his BA and MA in English Linguistics from Kobe City University of Foreign Studies and earned his PhD in Applied Linguistics from Meikai University in Japan. Shuhei is currently Professor of the Graduate School of Language, Communication and Culture at Kwansei Gakuin University in Nishinomiya, Japan. He specializes in applied linguistics and psycholinguistics in L2: In particular, his current research focuses on: 1) reading comprehension in English as L2, 2) the cognitive process of accessing ESL mental lexicon, and 3) the effects of shadowing and oral reading on the acquisition of English as L2. His major publications include the following books written in Japanese: The English Mental Lexicon [Eigo no Mental Lexicon] (Shohakusha, 2003), Reading and Phonological Processes in English as a Second Language [Daini Gengo Rikai no Ninchi Mechanism] (Kurosio, 2006), An Introduction to SLA Research [SLA Kenkyu Nyumon] (Kurosio, 2010), The Science of Shadowing, Oral Reading, and English Language Acquisition [Shadowing-Ondoku to Eigo Shutoku no Kagaku] (CosmoPier, 2012), Twelve Tips for Successful English-as-Second-Language Learners [Eigo Jotatsu 12 no Points] (CosmoPier, 2014), Shadowing-Oral Reading and the Science of Communication in English [Shadowing Ondoku to Eigo Communication no Kagaku] (CosmoPier, 2015). The most important key point for learners to succeed in L2 acquisition is whether they are given sufficient opportunities to retrieve and utilize their knowledge of L2 to automatize or proceduralize its explicit nature. By doing so, the explicit conscious L2 knowledge can become accessible spontaneously and automatically, in the same way as the implicit knowledge in L1 is accessed in our human brain (Kadota, 2012). Therefore, in language learning, extensive repetition priming with or without intentional processing is indispensable to change consciously controlled processing into unconscious, automatic processing. Several researchers in L2 acquisition have argued that repeated practice of input processing could result in the acquisition of cognitive fluency or psycholinguistic competence in L2 (Segalowitz, 2010; Kadota, 2012). In this way, L2 learning requires repeated exposure to a target language, so that learners can make the most of the L2 linguistic knowledge in an unconscious manner. Hence, the usefulness of extensive reading and listening. By the extensive processing experiences or practices, context dependent episodic memory is decontextualized into explicit, semantic memory, which in turn can be automatized and proceduralized into unconscious implicit formulaic lexical knowledge such as phrasal verbs (e.g. come out, take off, etc. ), idioms (e.g. kick the bucket, rain cats and dogs), fixed phrases (e.g. at least, in fact), prefabs (e.g. the thing / fact / point is, that reminds me). The use of these knowledge will enhance learners’ fluent and automatic performance in L2 communication. 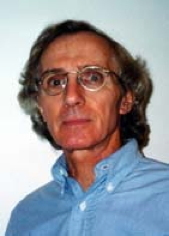 Richard R. Day is a professor in the Department of Second Language Studies, University of Hawaii. He has held a number of administrative positions at the University of Hawaii, including vice-chancellor for academic affairs, and assistant to the president. He was recently a visiting professor at Ubon Rajathanee University, Thailand, and Ha Noi University, Viet Nam. His research and instructional interests include second and foreign language pedagogy, materials development, and foreign language teacher education. Dr. Day is the author of numerous publications, particularly on second language reading. His most recent publications are New Ways in Teaching Reading (2nd edition), and Teaching Reading. 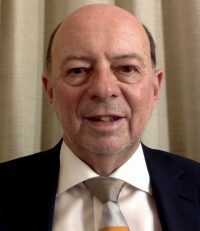 He is the co-author of Extensive Reading in the Second Language Classroom, and the co-editor of Extensive Reading Activities for Teaching Language. Professor Day is also the co-author of Impact Issues Books 1 – 3, and Cover to Cover, Books 1 – 3. He is the co-editor of the online scholarly journal, Reading in a Foreign Language (www.nflrc.hawaii.edu/rfl), and a co-founder of the Extensive Reading Foundation. Both the patterns and practices of extensive reading have increased, developed, and changed since Harold Palmer applied the term extensive reading to foreign language pedagogy one hundred years ago. While Palmer is credited with introducing the term extensive, Michael West was the major figure in developing its methodology in the 1920s. I critically review the major pedadogic and research patterns and practices of extensive reading of the past in order to determine the nature of extensive reading in the present. The questions I address in the review are, “What is extensive reading? When teachers say they use extensive reading to teach a foreign language, what do they do? What do their students do? What does the research show about the pros and cons of using extensive reading?” Based on the results of the review, I predict what the patterns and practices for both the teaching of and research into extensive reading will be in the next 10 to 15 years. 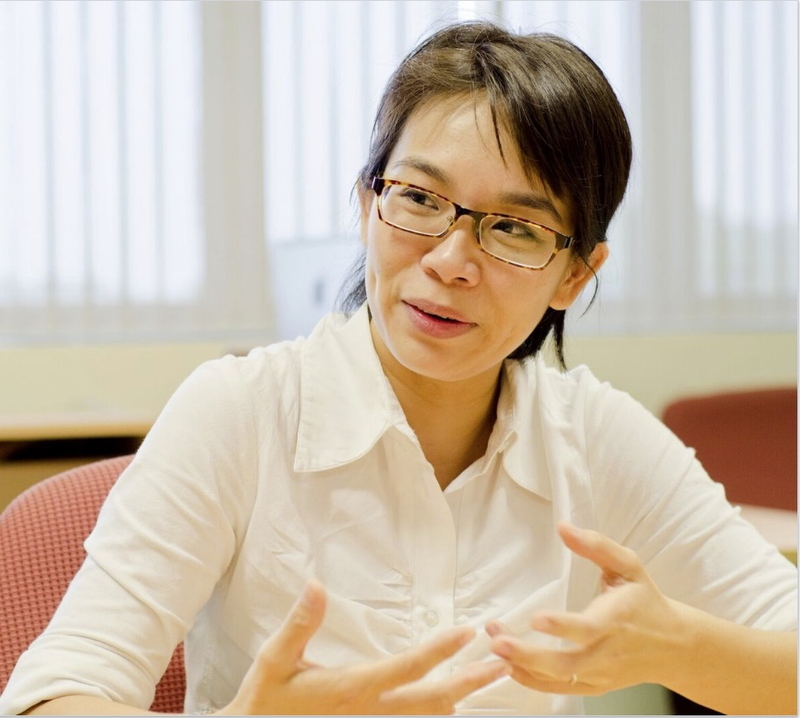 Loh Chin Ee is an Assistant Professor in the English Language and Literature Academic Group at the National Institute of Education, Nanyang Technological University. She has published in Changing English, Literacy and Anthropology and Education, amongst others, and is the author of The Space and Practice of Reading: A Case Study of Reading and Social Class (Routledge, 2017), co-editor of Teaching Literature in Singapore Secondary Schools (Pearson, 2013), Little Things: An Anthology of Poetry (Ethos, 2013) and Teaching Poetry to Adolescents: A Teachers’ Guide to Little Things. She is currently collaborating with the Ministry of Education and National Library Board in Singapore on a large-scale research study on how school libraries can be central to building a reading and learning culture. What Makes a Reading School? There has been greater emphasis worldwide on reading, as reading is perceived as a bootstrap to greater reading ability and learning. The push for reading as a baseline skill is even more urgent in a global economy where higher literacy skills lead to more opportunities for learning and are a guarantee for greater employment opportunities and civic participation. Yet, many schools struggle with getting their students to read more, read better and read more widely. Drawing from current research in the field and the researcher’s own work on reading in secondary schools, this keynote explains the features that mark a reading school and suggests strategies for building a school’s library culture. A formative framework for evaluating the school’s reading health will be shared. 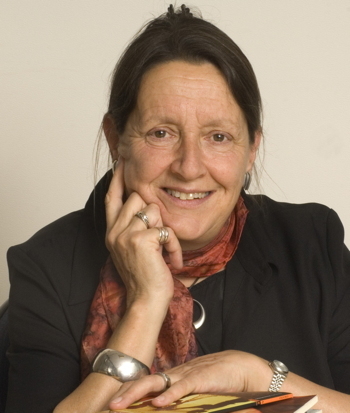 After graduating from Exeter University in the UK, Jennifer Bassett worked in ELT as a teacher and teacher trainer in various European countries. She then became an editor and materials writer, initially working on grammar materials, then moving into graded reading. For more than twenty-five years she has been writing, editing, and thinking about stories for English language learners, and was the series editor of the Oxford Bookworms Library until 2014. She has published more than forty original and retold stories, and three of her adaptations, Rabbit-Proof Fence, Love Among the Haystacks, and Les Miserables have won Language Learner Literature Awards from the Extensive Reading Foundation. Another five of her titles have been finalists for the Awards. She also created a mini-series called Bookworms World Stories, collections of short stories written by non-native speakers, which draw on cultures other than the Western literary tradition. With H.G. Widdowson, she has worked as series co-adviser on the Oxford Bookworms Collection, volumes of unadapted short stories for advanced learners. She lives in Devonshire, in south-west England, and is always looking out for stories that will resonate with English language learners. One of the central pillars of the whole extensive reading project is the use of graded texts. It is now axiomatic that reading extensively at a level appropriate to a student’s current language competence can greatly increase reading fluency and encourage the development of automaticity in the reading brain. Nowadays nearly every ELT publisher produces graded readers, and there is a vast amount of language learner literature available. But what goes into the making of a graded reader? “Who decides what is margin and what is text?” as the Australian novelist Janette Turner Hospital wrote. So, how are stories chosen? What language is appropriate for each level in a graded reader series? Who decides the cultural parameters? Is it possible to be creative when writing in a reduced code? Above all, how do we inculcate good craftsmanship, the ability to employ all the devices of the storyteller’s art to create compelling and engaging narratives? I would like to take you on a journey from the birth of an idea for a graded reader to the moment when another book or ebook arrives in your EL classroom. You might be surprised at how much scrutiny, how much argument, and how much passion lie behind the covers of these slim little books! My professional life can be roughly divided into three: firstly as a British Council Officer in Egypt, Portugal, Greece and Poland, then as Principal of a residential language and teacher training college in the UK, and finally as a freelance writer and teacher trainer. Something I have greatly enjoyed over the years has been spending time in classrooms all over the world, and it is from teachers and students that the inspiration to write comes. I have also learnt so much from speaking at conferences and running teacher training courses in Europe, South America, Africa and Asia. A common thread has been writing, which I have been doing all through my career, initially readers and coursebooks for Heinemann, for whom I also edited three integrated skills series. Twenty years ago, CUP invited me to become the founding Series Editor of Cambridge English Readers. I am proud that so many titles in that series have been finalists and winners of the ERF Language Learner Literature Awards (including two of my own: Why? and Arman’s Journey). With Judy Garton-Sprenger, I am the co-author of a number of highly successful teenage courses for Macmillan, including, most recently, New Inspiration (British English) and Inspired and Insights (American English). I was for seventeen years Reviews Editor of English Language Teaching Journal and am on the Board of the Extensive Reading Foundation. While evidence for the efficacy of extensive reading is compelling, its classroom implementation can meet student resistance. We will consider what lessons can be learnt from a survey of current practice around the world, and from my own successes and failures in a wide range of teaching situations. One conclusion is that for ER to succeed students and other stakeholders need to be persuaded of its virtues from the outset. I will suggest concrete ways in which this can be achieved and you will leave the session with a url providing access to electronic versions of the documents presented, which you can edit or translate as appropriate.